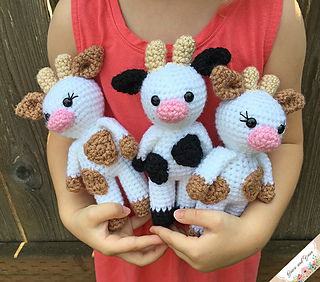 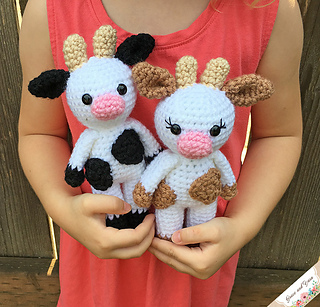 Create your own mini amigurumi cow with this easy to follow pattern! 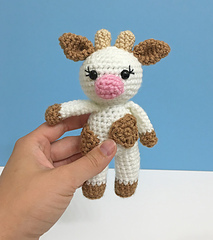 Using the yarn and hook specified below this mini cow measures about 7 inches tall, making it a super fast make! 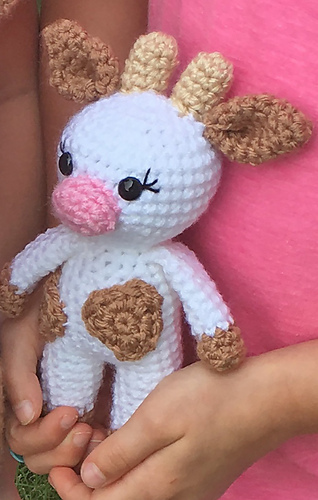 The legs, body and head are made as one piece to cut down on sewing! 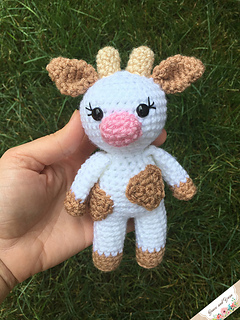 If you would like the larger version of this little cow or to purchase the combo pack at a discounted price please visit my Etsy shop!